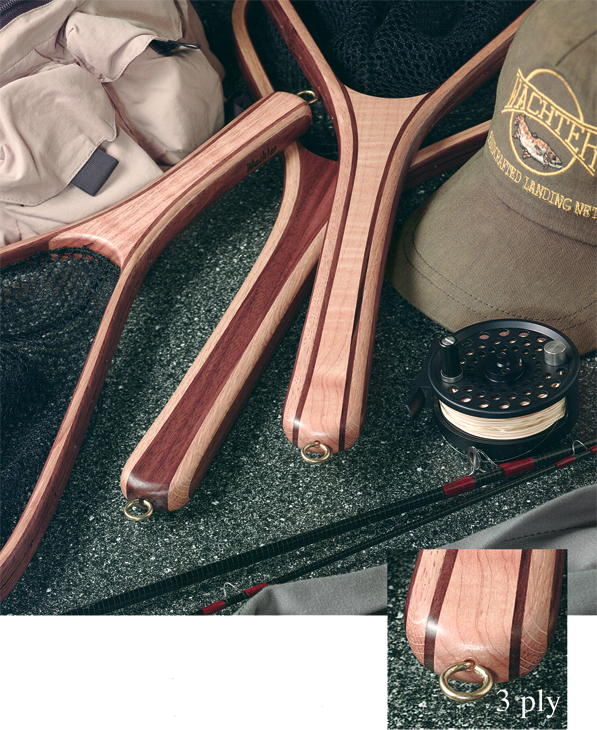 The Master Series is constructed of a 3-ply laminated bow which is steam bent. The Master Series is available in 9 net models. Each Master Series net receives a five-step finish consisting of polymerized tung oil and UV-resistant marine grade polyurethane. Pick from our 10 standard handle woods or see our Custom page premium handle woods for Fancy or burled wood handle choices. 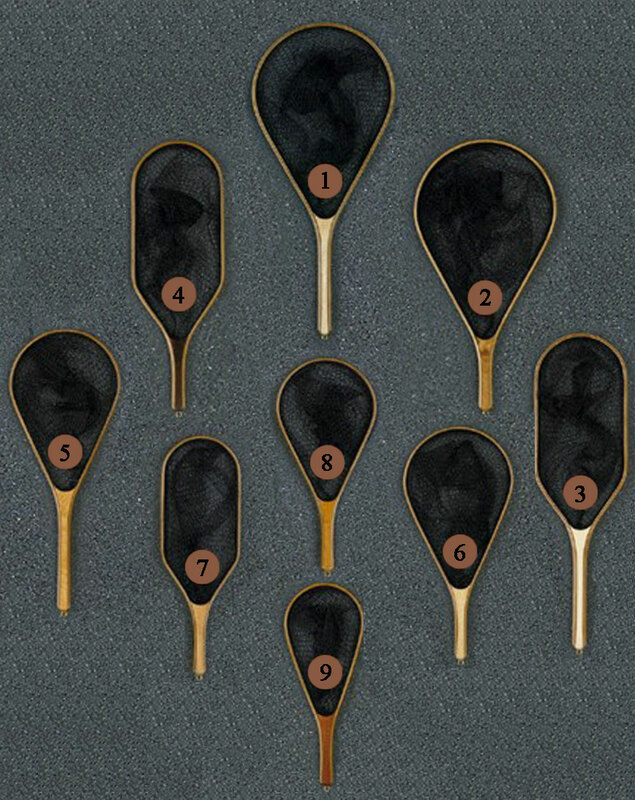 A Magnetic Net-Quick release is included on all Master Series nets where applicable. See our Ultra-light molded bag below for no tangle hook removing. The Net-Quick Magnetic release, utilizes two epoxy coated neodymium magnets, each with a 10 pound Gauss force pull. The model attaches tothe back of your vest in a handle down position for ease of use. attached to you. To see the available Master Series models and dimensions click picture above. Add $25.00 to above price for the molded bag shown to the right.